Arrow B is excited to announce our next big project: the renovation of a venerated auto garage at 38th Ave and Utica. We are partnering with VanWest Partners and Spectrum General Contractors to redevelop the building into a multi-tenant space. Circa 1890 the West End Electric Street Railroad Company used the building to house three large dynamo motors that powered the city’s electric trolleys. 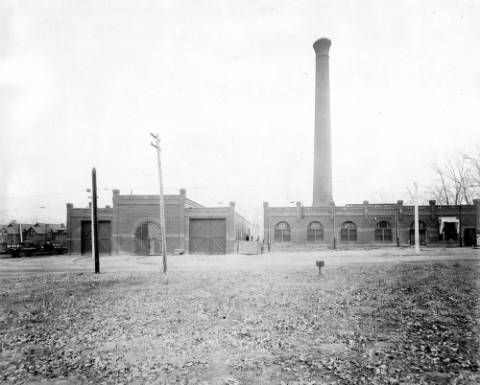 Originally the Dynamo house had beautiful brick detailing, large, arched wood windows and doors, and a 100 foot tall brick smoke stack. 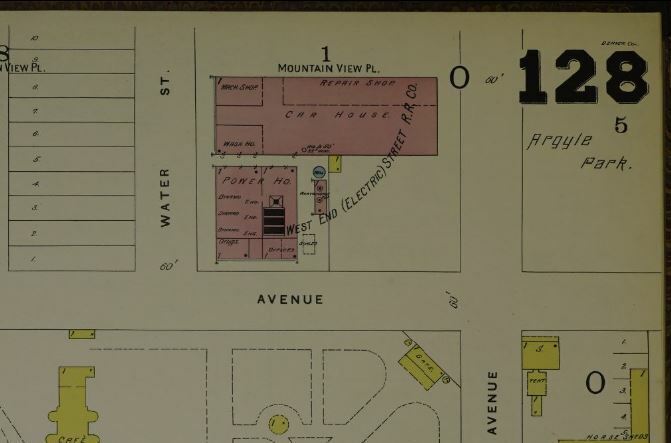 Just north of the power house was a large car barn (formerly Elitch Lanes, now Natural Grocers) that housed trolley cars, machine shop, armature room and a wash room. 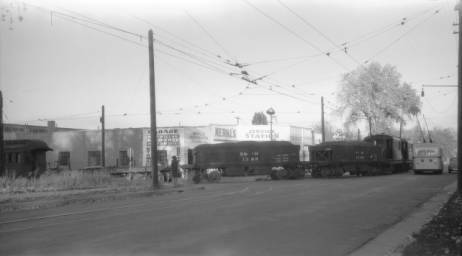 The West End Electric Street Railroad Company was purchased by the Denver Tramway System in the early 1900s. In 1903 the building was leased to the National Guard for training and munitions storage. During this time, the west half of the building was a large hall, and the east half of the building was a gymnasium. 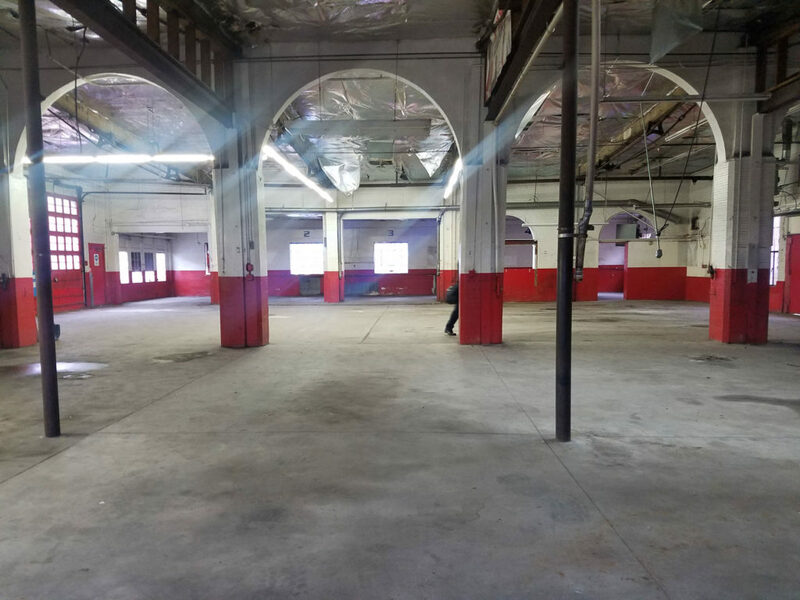 Since there were few large halls or gymnasiums in the area, the space was home to boxing matches, high school basketball games, and even a roller rink. Around 1930, Merkl’s Automotive began to use the building, eventually removing the southwest corner to create pump stations. Since then, Merkl’s has held the corner in the red, white, and blue glory most Denverites are now familiar with. 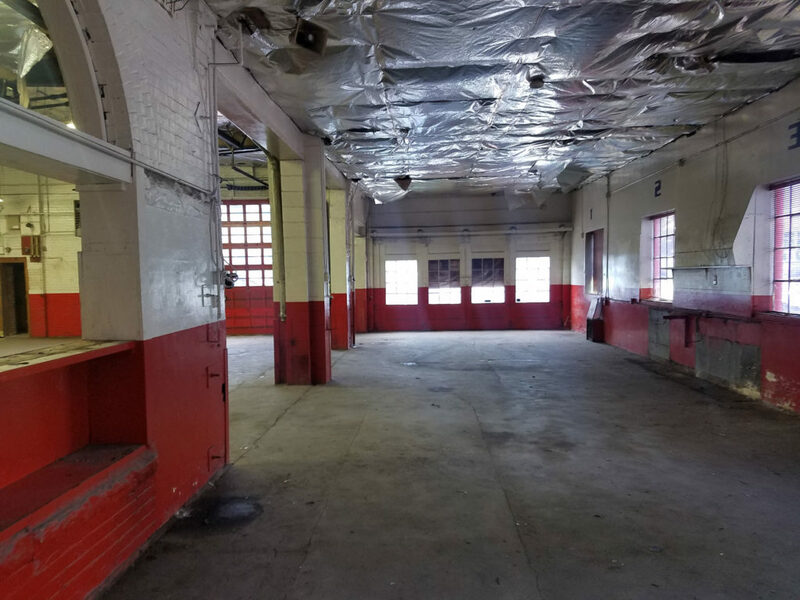 We hope to restore some of the historical exterior details as we ready the space for a brewery, restaurant, and retail tenant. Check out the project page for more information.